Use in soups, potatoes, dressings, sauces or as a spread on baguettes. Excellent tossed in pasta, added to gravy, stocks, and as a condiment for meat, poultry and fish. 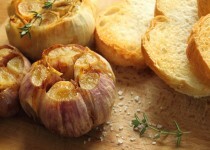 Frozen Peeled Garlic - Preheat oven to 325 F. Rinse frozen garlic cloves. Pat dry on towel. Toss garlic with oil until coated. Make foil pouch around garlic and place pouch on a cookie sheet. Bake about 30 minutes or until tender. May open foil pouch to allow extra browning and caramelization. Can be mashed or left whole to fit your cooking application. How to Roast Whole Heads of Fresh Garlic - Preheat oven to 400F. Peel and discard the papery outer layers of the whole garlic bulb, leaving intact the skins of the individual cloves of garlic. Using a sharp knife, cut 1/4 to a 1/2" from the top of cloves, exposing the individual cloves of garlic. Place the garlic heads in a baking pan, cut side up. Drizzle oil over each exposed head, using your fingers to rub the oil over all the cut, exposed garlic cloves. Cover the bulb with aluminum foil. Bake for 30-35 minutes, or until the cloves feel soft when pressed. Allow the garlic to cool enough so you can touch it without burning yourself. 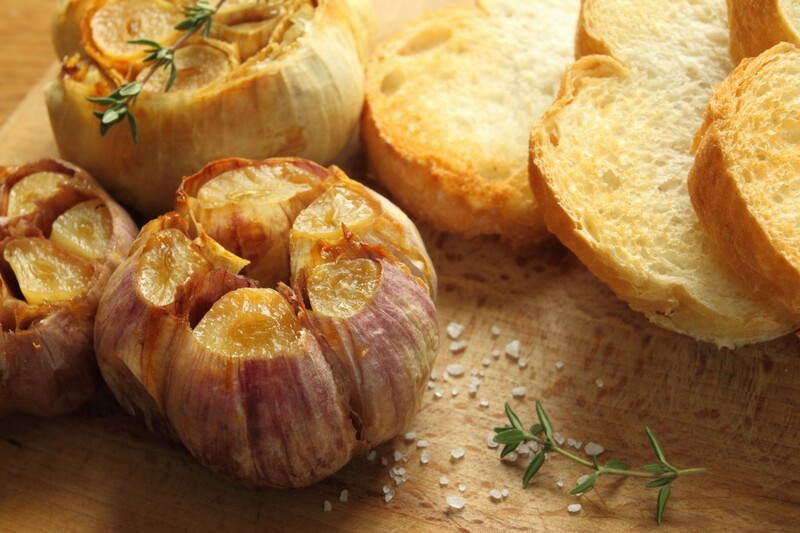 Squeeze the roasted garlic cloves out of their skins.